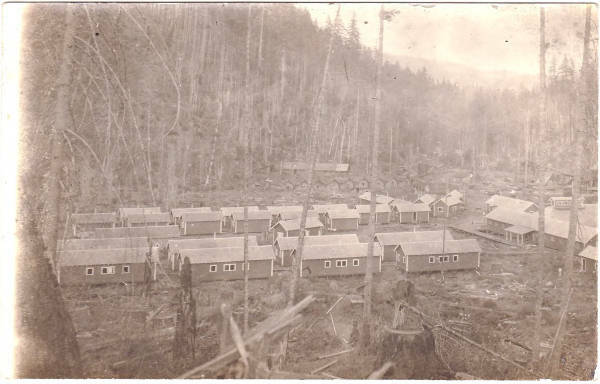 The back side of the office buildings of the Gales Creek Logging Company are on the right. Many smaller buildings are lined up in rows. Most of these would be living quarters for the workers. [back] [black ink] Logging Camp Gales Creek?